Dawsons customer Nigel Burgess tells how impressed he is with the South Wales estate agents and the quality of their service. Corey Ashford, Dawsons’ Residential Sales Negotiator in Killay, giving his very handy tips on preparing your property before it goes on the market. 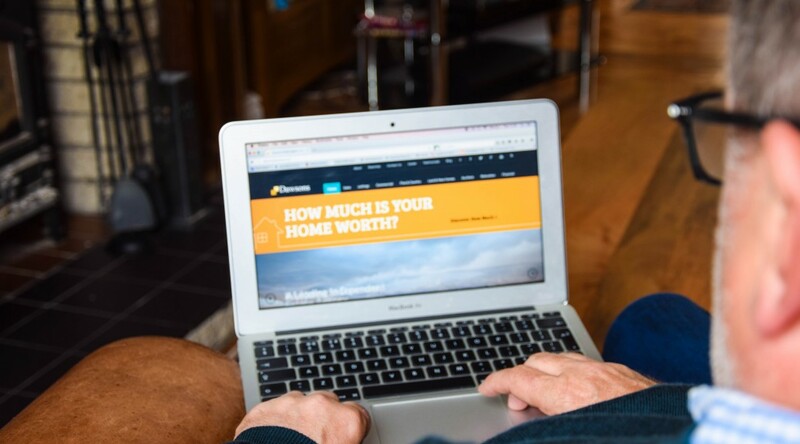 A new digital property valuation service rolled out by Dawsons Estate Agent is proving a big hit with homeowners across the Swansea area. The ValPal service on Dawsons’ website has only been live for the past couple of months but already it has had a 50 per cent conversion rate with regards new instructions. The digital tool gives homeowners a free instant online valuation which is based on postcode and area. You can also get a lettings valuation to see what rental you can achieve for your rental property. “We are delighted at the success so far, and how well received this service has been,” said Ricky Purdy, Dawsons Director of Residential Lettings. Leading estate agent Dawsons is delighted to announce a raft of new appointments in its sales and lettings departments. Five new staff have joined the Marina, Morriston and property management teams. Both Vivienne Jones and Kelly Israel have joined the Marina branch. Viv, the new office manager, comes with a wealth of knowledge in the property industry spanning 20 years. Previously she has worked in the new build industry, having managed numerous new developments for major ‘new homes’ builders and latterly in the second-hand market. “Viv’s combined experience complements our busy Marina Branch in the second-hand market and our Land and New Homes Department,” said Joanne Summerfield-Talbot, Dawsons Director of Residential Sales. Kelly joins Dawsons after an interesting career that has seen her work on the Jeremy Kyle and Jerry Springer shows. “Kelly’s customer service skills and friendly, bubbly approach have made her the success she is today, having previously worked in hospitality. We wish both Viv and Kelly every success in their ventures,” added Joanne. Tracy Hernandez joins the Marina team as a Saturday negotiator, using her engagement, enthusiasm and her personal experiences within the property market to great effect. “Tracy’s customer service skills are already proving a great success with our Marina clients on both the rental and sales side of the business,” said Ricky Purdy, Dawsons’ Director of Residential Lettings. Rebekah Young returns to the lettings industry after a short break away. She joins the Morriston branch to support the team at a very busy period in an area she is able to recall previously gained knowledge and experience. Donna Howell joins the property management department as a property inspector. “Donna has an eye for detail, and great customer service experience as a result of many years working with the public. Both of these skills to be utilised on a daily basis, along with her outgoing and very personable character which our clients find very important during this period of the rental cycle,” added Ricky. As well as new staff Dawsons has taken delivery of some new fleet vehicles. “Dawsons fleet is seen in and around Swansea every day we wanted an eye-catching design. 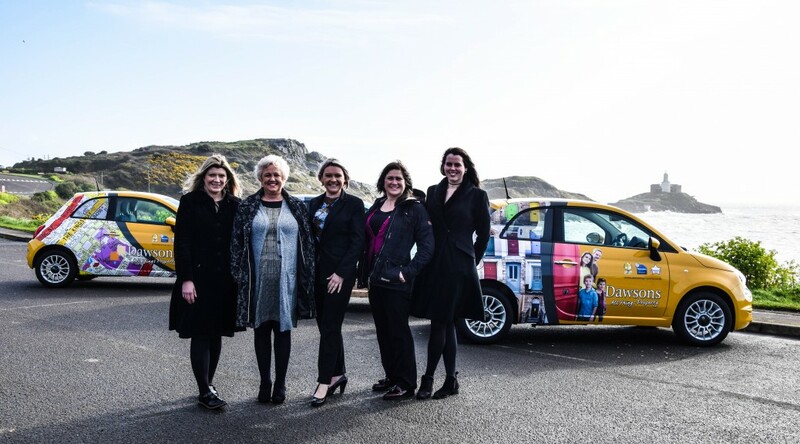 The array of colourful Fiat 500s that are seen out and about have now been joined by three new cars,” Naomi Webborn Residential Lettings Department Coordinator. CAPTION: L-R Donna Howell, Vivienne Jones, Kelly Israel, Tracy Hernandez and Rebekah Young.